The authorities are checking the delivery of chickens through Ayeyawaddy bridge (Yadanarbon ) linking Mandalay and Sagaing and Yadanar Theinga bridge linking Shwe Bo township and Singu township. 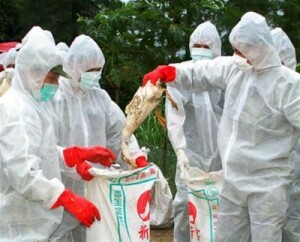 Farming zones in the region have worked to prevent spread of bird flu. At present, chicken prices in the market stand high due to increasing deaths of chicken amid the high temperature in summer.